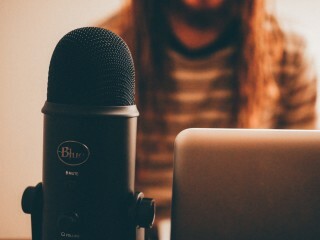 Podcasts are not a new form of media; however they have gained a lot of popularity throughout 2017 due their accessibility and variety in content. You can find podcasts of every genre and niche hobby, and you can enjoy them while working on assignments, hitting the gym, cleaning up your place or commuting. For the best listening experience, I suggest finding a podcast app that allows for cross-platform use amongst your devices. Below I’ve listed some of my favorite shows that I think will help keep you motivated, educated or entertained throughout the semester. If you’re tired of those hokie “self-help” gurus and want to cut through all of the redundant crud from those motivational accounts you follow on Instagram, then this podcast is a must listen. In 1999, he took over his family’s wine business which he turned into a $60 million company by 2005 by developing an eCommerce store and the use of digital marketing in the early 2000’s, making Gary Vee a pioneer in the field. Vee’s guests range from Billionaire investors to start up founders and independent rappers allowing for lots of unique perspective and approaches to business in the digital age. The show is updated daily with the length of podcast episodes ranging from under 10 minutes to nearly two hours! You can get involved with the program by using #AskGaryVee on social media or DMing him for advice on Twitter and Instagram @garyvee. Thomas Frank is an author, entrepreneur and YouTuber whose content focuses primarily on helping college students develop skills and strategies that are necessary to meet goals both inside and outside of the classroom. Like myself, you may have stumbled upon Thomas’ YouTube channel when searching for new note taking strategies or study tips, and if you enjoyed his videos, you will definitely enjoy listening to his podcast. Thomas and his co host Martin offer different perspectives in an entertaining way on a multitude of topics in that include navigating college (obviously), starting your own business, landing a job post-graduation, mental health and relationships. This is a great podcast if you are struggling to buckle down and hit the books or just want to get a second opinion from fellow millennials’ point of view. The Radio Lingua Network is a company hailing from Scotland that aims to teach people new languages through podcasts and other forms of internet-based media. Their “Coffee Break” podcasts are probably the most popular out of all of their content, and for good reason – each episode teaches an easily digestible 30 minute lesson that teaches listeners essential phrases and even offers in-depth looks into the grammar and cultures associated with various languages. The format is simple; one native-English speaker learns how to speak a new language from a non-native English speaker. I didn’t choose one specific program simply because all of the “Coffee Break” series’ are useful for different people. Radio Lingua currently has a “Coffee Break” podcast series for German, French, Italian and Spanish, and recently added “Coffee Break Chinese” to the roster. I highly recommend this podcast for anyone who wants to learn a new language, improve their current proficiency or have a secondary study option for their current classes. The series has truly helped me out with my classes and has helped me learn local colloquialisms that I wasn’t able to learn in class. Favorite Episodes: All of them. Intelligence Squared is an UK-based organization which stages Oxford style debates all over the world. The podcasts, which were originally distributed in the United States by NPR, are now self-published under the Public Radio Exchange. They offer two podcasts with slightly differing content. Intelligence Squared U.S. Debates – This podcast is great for people who enjoy hearing or participating in debates about controversial topics that matter. Past debates have been centered around the U.S. Health Care System, Trump, Big Pharma and free speech on university campuses. Intelligence Squared – While the premise of this show is the same, it does not feature all of the stateside debates that its sister show does. This show’s episode listing mixes in interviews with prominent public figures that provide their unique perspectives on topics to help audiences get a varied perspective. Their most recent guest, as of Jan. 19, was Caitlyn Jenner, who sat down to talk about gender politics. I highly recommend both of the “Intelligence Squared” podcasts, because not only do they teach Americans how to have more civilized discourse despite differing opinions, it also broadens your perspectives and worldview in the process. If you want to keep up with the political events that have transpired throughout the day but don’t have the time to watch a major news network all day, NPR’s “Up First” podcast is ideal for you. It provides you with all major political events, in less than 20 minutes every single day. It’s very informative and is unbiased in its approach, allowing for you gather the general information and form your opinions or conduct more research. I hope you didn’t think my journalistic integrity would stop me from plugging our own podcast! The Carolinian’s Editor in Chief, Ross Kiefer, has set up a podcast that covers a variety of interesting topics, including local characters, the Trump Tax Bill and the Birth of Mumble Rap! Simply visit The Carolinian homepage at www.carolnianuncg.com and look for the Podcast Banner on the right hand side! This is the podcast that belongs to popular Youtubers, Ethan and Hila Klein, the genius minds behind H3H3Productions. If you are really deep into YouTube, this podcast is for you. Ethan and Hila sit down to talk about Youtube Scandals, big news events and weird happenings on the internet. Frequent guests include Jacksfilm and rapper, Post Malone, and almost all episodes end with ghost stories. Vanessa Lowe’s “Nocturne,” focuses on stories that involve people’s’ struggle to deal with the darkest parts that life has to offer. The sound design is beautiful, and enhances the stories as they are told by those who experienced them. If you are going through a rough patch, or just feel alone, this is a wonderful podcast to look into. This is the first show which peaked my interest in the storytelling genre. If NPR’s “Up First” existed in “The Twilight Zone” and covered the happenings within a small desert town, this would be it. It is an episodic show, so I recommend catching up as fast as you can, since the show is on its 120th episode. If you can’t get enough of the podcast, there is also a “Welcome to Night Vale” book available.